Our CARBON shaft paddle is far superior to those made from aluminum or fibreglass. It weighs only 2 lbs.! It’s stronger, it floats, and it can be converted to a kayak paddle with an extra blade (sold separately). The 3-piece construction makes it portable and it’s adjustable from 68” to 84”. The blade is tough nylon composite strengthened by a center rib to prevent warping under strain. Light and strong, our paddle is simply the best found in any iSUP package on the market. The THURSO SURF Inflatable SUP is a lightweight and convenient alternative to a standard fiberglass or foam SUP. 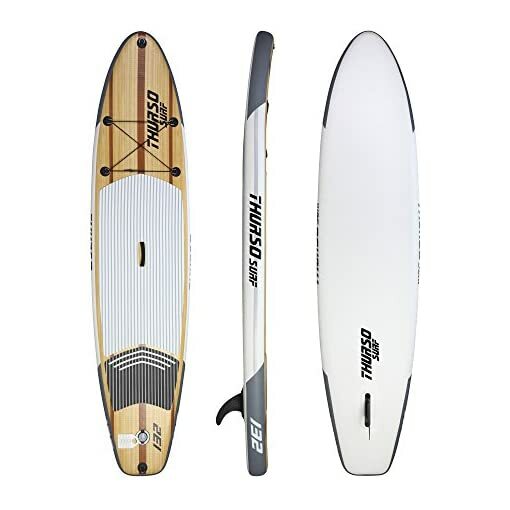 The paddleboard has a TWO LAYER construction. The internal drop stitch fabric ensures the board has a controlled shape and can be inflated to very high pressures for maximum rigidity and performance. The Military Grade PVC layer coated on top of the fabric reinforced the board and makes the board UV-resistant, ding-proof and nearly indestructible. 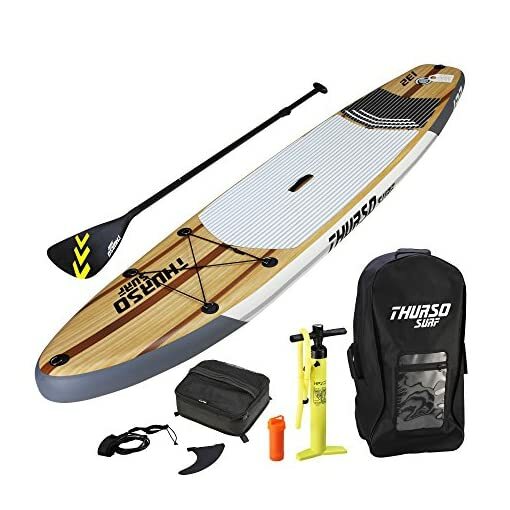 The package also comes with premium accessories we carefully prepared for you: a CARBON shaft paddle very handy and floats on water; a 2+1 fin system to use in waves or flat water touring; a high quality double stainless steel leash; a deck bag for your excursion supplies; a high-pressure pump for inflating the board to its correct pressure for maximum performance; and a backpack for you to wrap everything in one bag. 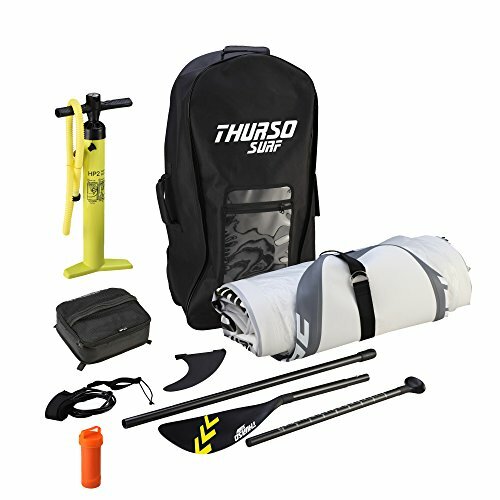 Easy to handle and travel with, no roof racks needed. You are all set after getting this package. Designed for paddlers of any skill levels and weight up to 280 lbs (experienced paddlers can go over). Light weight, easy to store, and convenient to travel with. 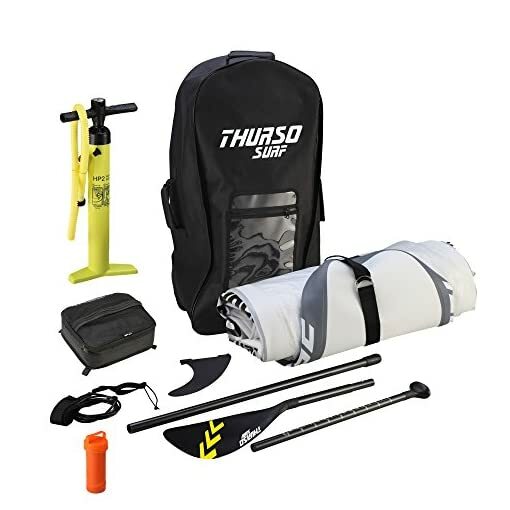 No roof racks needed – throw it in the trunk of your car or travel with it in your luggage. Get on any water you want to!